Diseases caused by Air Pollution – Air pollution is a major concern among conservationists and environmentalists. Hundreds of laws aim to reduce this phenomenon and minimize its effects. In addition, herbalists have created countless detox and cleansing drinks to heal the body against the damages caused by pollution. Doctors and researchers have discovered several diseases that appear to be caused or at least aggravated by this phenomenon, such as asthma, chronic obstructive pulmonary disease, and emphysema. Air pollution is a trigger and one of the known causes of asthma. For people who already suffer from asthma attacks, it can aggravate the condition and cause seizures. In addition, healthy people can develop the disease after years of living or working in a highly polluted area. This type of asthma is known as “occupational asthma” since it is the result of working in a particularly contaminated area. Chronic obstructive pulmonary disease (COPD) is a condition associated with frequent lung inflammation and infections, such as bronchitis and pneumonia. Smoking is its main cause, but prolonged exposure to intense air pollution can also cause it. Smoking is responsible for 80% of cases of emphysema, but pollution and airborne contaminants in the workplace also cause the disease. Air pollutants and smoke accumulate in the lungs and damage the mucus that keeps the lungs clean and healthy, leading to infection, inflammation, and obstruction. Air pollution contributes to lung cancer, especially in people who have grown up in highly contaminated areas, since exposure to air pollutants during the developmental years can have a significant impact on the lungs. The accumulation in the lungs of small airborne particles can cause the development of a tumor. 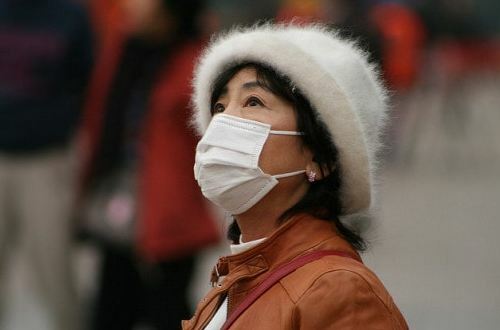 In addition, it has been established that air pollution increases the risk of lung cancer as much as secondhand smoke. Air pollution has been shown to be a factor in the development of all heart diseases, including heart attacks and strokes. Secondhand smoke can increase the incidence of these diseases, as well as carbon monoxide and nitrogen dioxide. Air pollution has been shown to be the cause of heart disease as its pollutants reach the lungs and seep through the blood vessels producing an inflammatory response and raising the heart rate. Previous post How Many Push-Ups should I be able to do at Age 15?